Since I have been pregnant, I have been trying really hard to be more conscientious about what I am putting in my body and on my skin. I have been using facial oils for a while now, and have really loved the results. Typical commercial lotions and face creams always left my skin feeling heavy and dry. So I decided to try making my own facial oil for this challenge. When you say you’re putting oil on your face purposefully, some people automatically think instant breakouts. That couldn’t be further from the truth; in fact, moderate use of certain oils like jojoba can reduce oil production. 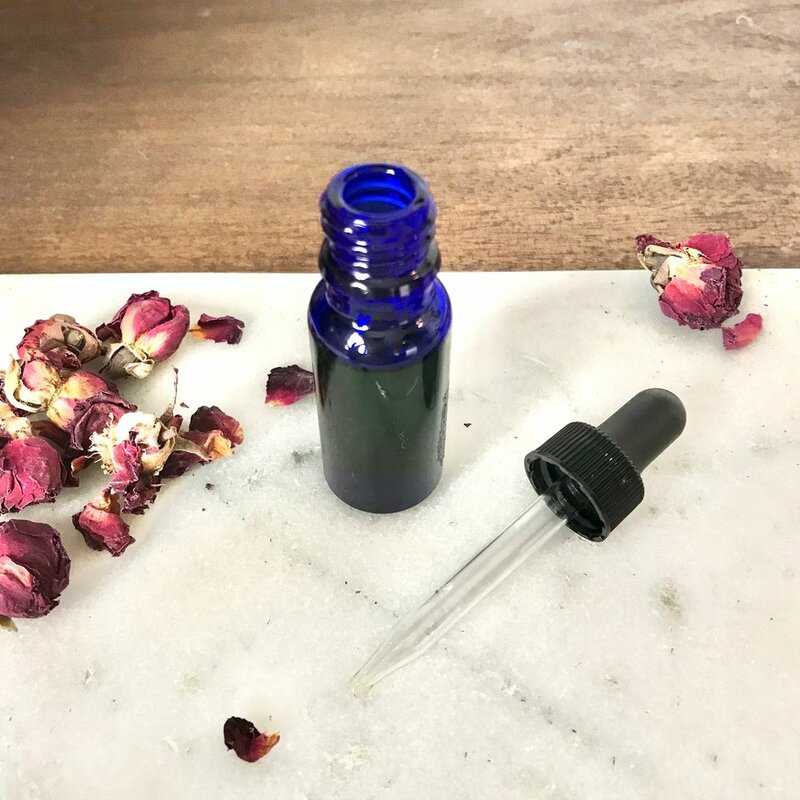 Some other benefits to using facial oils include: reducing wrinkles, moisturizing dry skin, protecting your skin, helping shrink enlarged pores—and some oils like tea tree are great for getting rid of zits. I decided to make a daily face oil using Lavender, Rosemary, and Jojoba Oil. As I mentioned before, jojoba oil actually helps reduce oil production, and it is a great carrier oil to add essential oils to. I apply my oil all over my face and neck after showering or washing my face. If I put it on in the morning and am wearing makeup, I wait about ten minutes after application for oil to absorb before applying makeup.